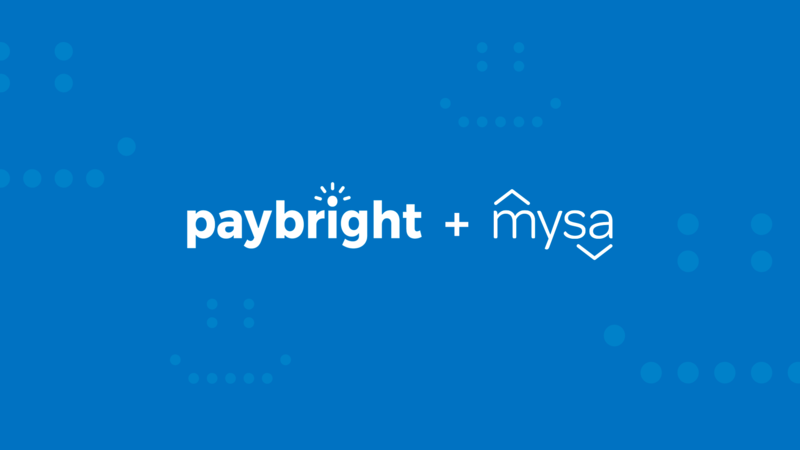 Home > Mysa Minutes > Introducing: Paybright! We get it. Forking over dollars in order to make your home smarter or more energy efficient may save you money in the long run, but the upfront cost of getting these nifty smart devices may be out of reach for some people. In some cases, it’s those that need the savings the most. Electric heat prices have risen (or are about to rise) drastically all across North America, and it’s not economically feasible for a lot of people to install thousands of dollars worth of new hardware (like a heatpump). Not to mention, a lot of homeowners are trying their best to decrease their carbon footprint – not increase it with wasteful alternatives. So where does that leave electric heat users who don’t want to (or can’t afford to) undergo serious, expensive renovations? There’s a ton of different ways to help lower your bill, but the best way is to take advantage of smart thermostats like Mysa. Mysa can lower electric heat bills by up to 26% by using state of the art technology alongside increased options for control. You’ll need separate Mysas for different rooms of your house, but we recommend installing them in the most-used rooms first. Combined with other measures, this should drastically cut down the amount of electricity that your house uses. As a proudly Canadian company, our goal is to give every Canadian a chance to save energy and make their lifestyles a little greener. Investing in Mysa will usually pay for itself through the savings on your electricity bill within 1-2 years, and then you’ll have years and years of savings ahead of you. But paying to outfit your whole home with new smart equipment just isn’t feasible for a lot of customers, even if they would be the ones who would benefit the most from extra dollars in their pockets. We want Mysa to help as many people as possible, and things like thermostat rebates only go so far in making our dream a reality. Paybright is a Canadian firm that helps people finance purchases online. We’ve partnered with them to offer our Canadian customers 7.95% financing for 6 months on purchases of over $500 (4 Mysas). The application process is simple, and the approval rates are high. So if the initial cost of setting up your whole house with Mysas is too high for a one time purchase, you can spread it out over half a year. This is only the beginning of your adventure into saving, as Mysa will save you money each and every month – especially those pesky long winter months us Canucks have to deal with. The more options we have, the more people we can help people go green. With these 2 innovative Canadian firms partnering up, there are more ways than ever to get there.